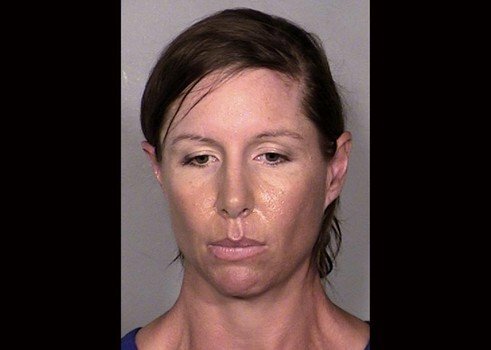 Alison Michelle Ernst, who is accused of throwing a shoe at Hillary Clinton, has been ordered by a federal judge in Phoenix to remain in custody until she can appear in court in Las Vegas. Alison Michelle Ernst, 36, made an initial appearance Tuesday in federal court in her hometown of Phoenix after she was arrested Monday. US Magistrate Judge Steven Logan appointed attorney Maria Weidner to represent Alison Michelle Ernst. Maria Weidner says Alison Michelle Ernst looks forward to resolving the case. Alison Michelle Ernst had been freed from custody in Nevada with a court summons on a misdemeanor disorderly conduct charge following her arrest Thursday at the Mandalay Bay resort. US prosecutors filed federal misdemeanor trespassing and violence against a person charges Sunday. Those counts could get Alison Michelle Ernst up to two years in federal prison. The shoe missed Hillary Clinton, and Alison Michelle Ernst immediately surrendered to authorities.